You can look at NVIDIA's excellent SHIELD Tablet through a few different lenses. 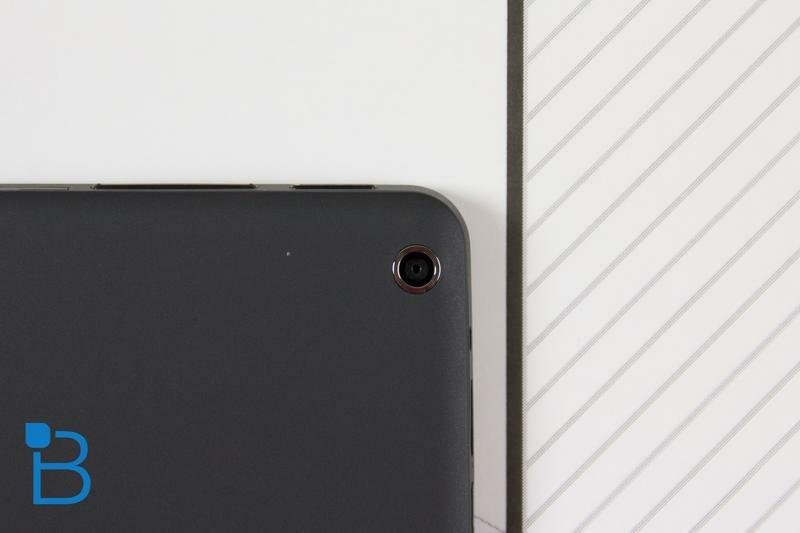 One: as a cheap, (mostly) vanilla Android device that sports some predictably powerful specs. Two: as a gaming powerhouse stuffed into a tablet's body—something that further pushes the boundaries of what's possible in the mobile market. Either way you look at it, you'll find NVIDIA's new Tegra K1-equipped slate is much more nuanced than just black or white. After a good week with the device, it's clear to me NVIDIA has managed to create a perfect balance of work, play and casual. Isn't that what most consumers are looking for in the first place? Last year's SHIELD portable, while powerful, was more of a niche product that was too narrowly focused on Android gamers. Because it was stuck to a 5-inch screen, the form factor held it back from being useful for anything beyond playing Portal or Half-Life 2. The SHIELD Tablet form factor results a much more pleasant and focused experience overall. It took NVIDIA a few years to get the formula right, but the payoff here is a big one. Not only do buyers get a terrific slate with some incredible gaming capabilities, but a device that is arguably the best mostly stock Android device available. At just $300, NVIDIA is offering a very capable device that's good even without any of the gaming perks. I would be remiss not to point out the SHIELD Tablet's—to put it bluntly—more rotund frame. Most new slates today are trim, light and impossibly svelte; NVIDIA's new device is anything but. 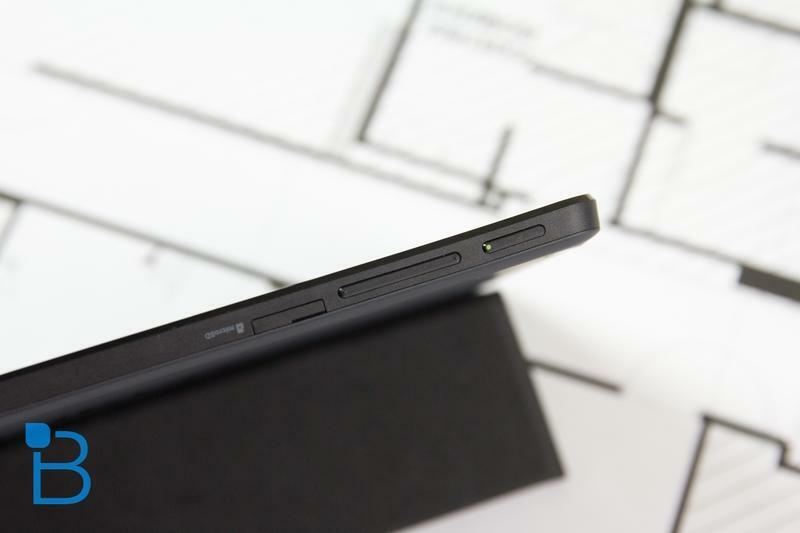 At 9.2mm, it's thicker than all of its competition by a wide margin. The iPad mini with Retina comes in at 7.5mm; the Nexus 7 2013 is 8.7mm; and the Galaxy Tab S, the thinnest of them all, which is just 6.6mm. It might seem like I point this out as a bad thing, but it's not. On the contrary; I actually enjoy the SHIELD Tablet's size, and don't fault it one bit for being a little thicker than the others. It's also a bit heavier at 390 grams, but it's not unwieldy by any means. For someone who just wants to kick back on the couch, the device's size and weight isn't an issue whatsoever. One-handed use no sweat, and you'll hardly notice any extra weight added to your bag when taking it to-go. Even though it's a little thicker and a little heavier than most, here's the thing: the design is actually pretty darn nice. For a device of this caliber, you'd actually expect some additional girth and weight—none of that detracts in anyway to the overall look and feel of the SHIELD Tablet. The chamfered edges give it a premium look, while the front-facing speaker design brings to mind the HTC One. It's an attractive device, simple as that, and the nice soft-touch back ties it all together quite nicely. The front-side is sleek, too, with an 8-inch Full HD (275 PPI) IPS display, which does a great job showing off games, movies, and anything else you throw at it. Again, it doesn't push into the upper echelon of the sharpest screens out there, but it's not a problem at all. You won't notice it doesn't have the astonishing 359 PPI of the Tab S, for example, or even the 326 PPI of the iPad mini with Retina. There's nothing more to say other than it has a perfectly serviceable display. Elsewhere, the device sports the normal array of ports. You'll find a microUSB slot, 3.5mm headphone jack and, most importantly, a mini-HDMI port that is capable of outputting 4K to your TV (if it supports it). There's also microSD card support (up to 128GB), a 5-megapixel camera on front and back, Android 4.4 KitKat, 802.11n 2×2 MIMO Wi-Fi, 2GB of RAM and NVIDIA's beastly Tegra K1 192 core Kepler GPU. That last bit is what sets the SHIELD Tablet apart from the competition. While not absolutely necessary, the SHIELD wireless controller ($60) is pretty crucial to get the most out of the tablet. It's not quite as crucial as needing a keyboard to use the Surface Pro 3, but pretty darn close. The controller is essentially what completes the illusion that the SHIELD Tablet is a self-contained gaming console. 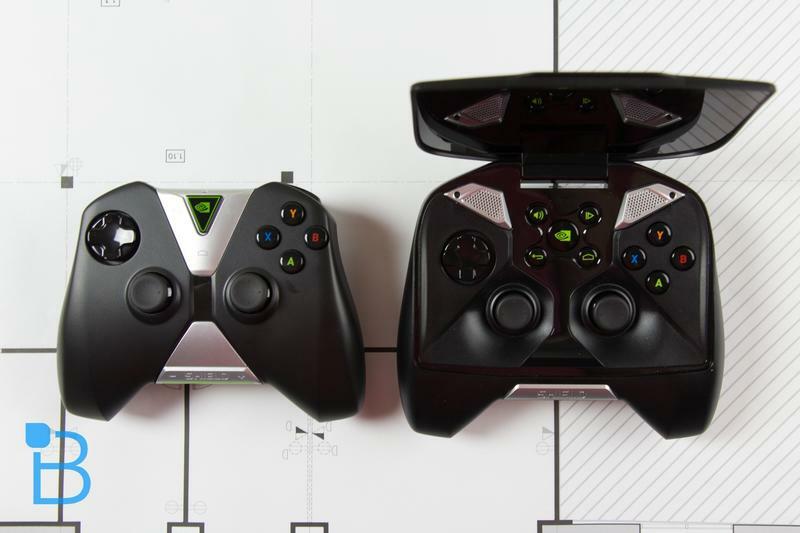 You'll need it to play games like Portal and Half-Life 2—and much more. Not getting one is like buying a Lambo and deciding not to put gas in it. But is spending the extra money for even worth it? Third-party mobile accessories, especially controllers, are never really thought of as must-have items. Considering what's at stake, however, you're going to want to get one. If you have zero intention of playing games, there's less of a reason to buy one, but chances are you're getting the SHIELD Tablet for its gaming capabilities (though its prowess as a regular tablet is a huge draw). Luckily the controller is pretty great. If you have prior experience with the SHIELD Portable, this is basically a more refined version of that without the screen attached. The thumbsticks feel precise, the bumpers are nice and clicky, and the X, Y, B and A buttons feel similar to what you'd get with a console-quality controller. There's a good weight to the entire thing, too, and its ergonomics are such that it doesn't feel uncomfortable to hold for longer periods. It's much nicer than your average third-party mobile controller, though not quite on the same level as something like the Xbox One controller or DualShock 4. You can actually navigate the entire tablet using just the controller. NVIDIA has included a little touchpad that allows you to move a cursor around while in-game or on the homescreen, and there's also another sort of control area where the NVIDIA logo rests, which allows you to navigate by pressing on the capacitive buttons. That logo, meanwhile, also includes an integrated microphone for voice commands; you can tell it to launch Portal, for example, and you'll see the game pull up on your tablet. Additionally, the wireless controller has a headset port so you can voice chat, which comes in handy for Twitch streaming. 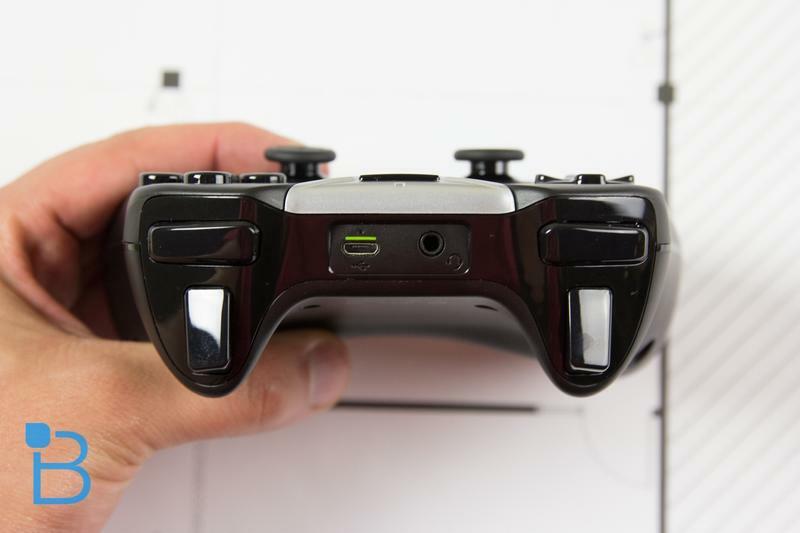 The controller comes with a battery that can be recharged as well, which is a lovely little perk. The icing on the cake is that everything is done over Wi-Fi Direct for ultra-low latency. During our testing, everything did indeed seem more responsive and fluid, which makes a huge difference when playing games that require split-second reactions. Let me be honest: I don't own a tablet. I have in the past, but between my work computer and smartphone (and a PlayStation 4), I just don't see the need for one. I've resigned to spending my money needlessly elsewhere. That said, I'm always up for giving new devices a proper run about. For the past several days I've been using the SHIELD Tablet as I would any other device; that is, watching Netflix, browsing the Web, playing games, etc. But I also put it through its paces as a pure gaming machine, and it's mostly come out unscathed. While NVIDIA wants to show this off as a gaming miracle, it works just as well as your everyday tablet. And because this is a pure Android experience (aside from a handful of pre-installed NVIDIA apps), the thing runs buttery smooth. There's no hideous skin, and no unnecessary features you'll just wind up ignoring. NVIDIA left Android to the experts (Google), while ensuring buyers get a top-notch gaming experience. When you're not gaming, you get the best version of Android without the excess, and that's the way it should be. With NVIDIA's Kepler GPU running the show, you also get a device that will be good for the next couple of years at least. If this device didn't include any of the gaming features, I'd still recommend it as the small Android tablet to buy. That says a lot when put up against the even cheaper Nexus 7, and thinner/lighter Tab S 8.4. 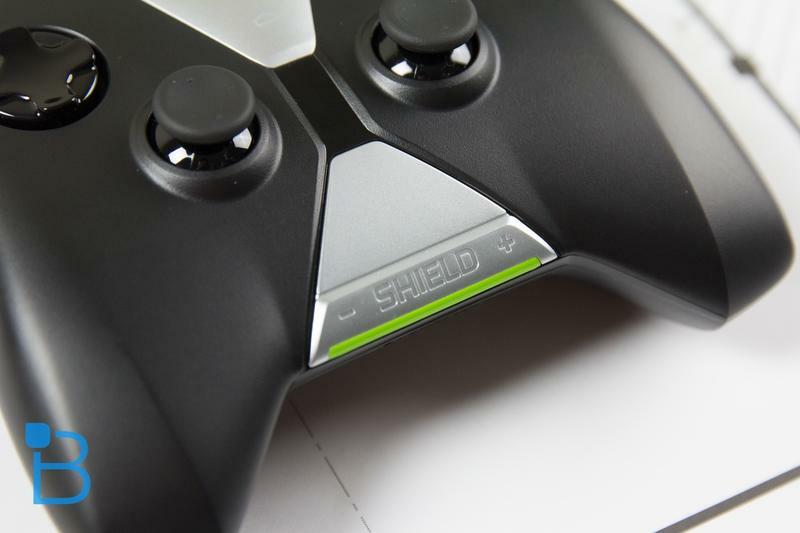 Everything you can possibly want out of a tablet NVIDIA's new SHIELD offers. The added bonus of pure Android isn't the only reason that makes the SHIELD Tablet a great device. The front-facing speakers, which are reminiscent of the HTC One, emanate beautiful sound; they're very loud and crisp, and because of their placement, you won't have to constantly adjust your hands because you're blocking the sound. The device's speakers don't pump out sound anywhere near as nice as a solid standalone speaker, but for a tablet, this is setting a new standard. Before we get into the SHIELD Tablet as a gaming machine, I also want to mention the device's DirectStylus 2 technology, which is a step up from what we saw introduced with the Tegra Note 7. This isn't necessarily the focus of the experience, but it's still so very well thought out and just plain fun to use. You can perform simple tasks like take notes—the SHIELD Tablet's software does a great job recognizing handwriting. Or you can use the NVIDIA's Dabbler app, which gives users the tools to create some amazing art. I'm no artist, so I couldn't really use these to their full potential, but it does come in handy if you simply want to jot down a few quick handwritten notes. 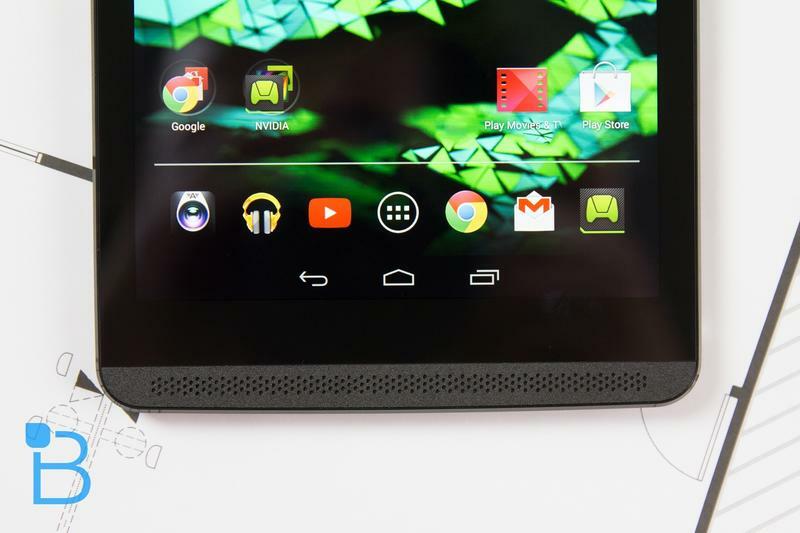 As a regular old Android tablet NVIDIA's new device is outstanding. Because there's no software skin, Android 4.4 KitKat runs incredibly well, and you get access to all the goodies Google Play has to offer. Netflix is zippy, browsing the Web in Chrome is smooth and even the simplest of tasks, like sending off an email, is quick thanks to the device's K1 mobile processor. But that's not even the half of what the SHIELD Tablet is capable of. For now, there are only a handful of games optimized for NVIDIA's K1 processor; the technology is pretty much overkill for everything else in the Android ecosystem. But it's not like these games aren't utterly fantastic. Right now gamers can go between Half-Life, Portal and the just-released Trine 2, which is a side-scrolling fantasy that runs exceptionally well and comes pre-installed on the SHIELD Tablet. Whereas Portal and Half-Life 2 were just OK on the SHIELD Portable—plagued by frame-rate issues and predictably watered down graphics—these beloved Valve titles run great on NVIDIA's newest hardware. Granted, these two classics are years old by now, but it's amazing to think that these games can now go with you anywhere. The main thing is there's a noticeable step up in performance. I remember playing these two games on the PlayStation 3 (I know, I know; I should have played them on PC), and I'm pretty positive they run better on the SHIELD Tablet. One of the great things about the SHIELD Tablet is that you're not confined to game exclusively on the 8-inch display. The inclusion of a mini-HDMI output means you can hook this up to your TV, essentially turning the device into a full-fledged console. Being able to hook it up to an external monitor is just another excellent perk offered by NVIDIA. If you're not gaming, you can also use Android to do things like watch Prime Instant video, listen to music, browse the Web, or even play emulators, right on your living room's 60-inch television. I'm curious to see how many more games are optimized for NVIDIA's K1 chip. Portal, Half-Life 2 and Trine 2 are good starts, but just three games to choose from is a pretty paltry selection. What about other games from Valve's library, like Left4Dead and Portal 2? Hopefully we see a stronger backing from developers in the future to bring big-time games like these to the tablet form factor. It'll likely depend on how many SHIELD Tablets get sold—however, we're already seeing the K1 processor show up in other devices, so it might not be long until more games show up. Without a large selection, that's where NVIDIA's other features come in. SHIELD Portable owners will be familiar with this feature. What it does is basically stream games straight from your computer directly to the SHIELD Tablet. More than 100 titles are supported right now, including Titanfall, Batman Arkham Origins and Borderlands 2, just to name a few; the library of supported games is only getting bigger, too. Down the road we'll see Evolve jump into the mix, along with many others. We made a video detailing precisely how GameStream works, so check that out if you haven't already. NVIDIA makes it very clear that you need to meet a set of requirements for the feature to work as intended. For one, you need to have a GeForce GTX graphics card (GTX 650 or higher, along with an 802.11a/g router (at the very least); NVIDIA recommends you have an 802.1n dual band router to get the best possible experience. If you do meet all the requirements, it's pretty impressive how well things work. Even in the video we made, we were surprised at how well GameStream holds up. During our time with the device, we did notice a few instances when the experience wasn't super smooth—frame rate dips, lag, etc.—but when you consider you're playing a game like Batman Arkham Origins, it's mind boggling enough that it works in the first place. GameStream is at a point where you can very comfortably complete a game, let alone play one, which is amazing to see on an 8-inch Android tablet. We've seen a lot of comments of people complaining about GameStream and how the feature is pointless, and I don't really understand the criticism at all. Sure, PC gaming elitists will always defend their beloved machines, but the NVIDIA SHIELD Tablet is in no way meant to replace the setup you have now. If anything, it's the perfect complement. My rig is currently hooked up to a pretty terrific 24-inch Samsung monitor, but GameStream allows me to hop over to an even larger 50-inch TV. Why would I be upset about that? Or, say I want to access my games remotely from home (my rig is in the office); with the SHIELD Tablet, I can do that. Being able to stream while not on the same Wi-Fi network, incidentally, is a beta feature, and requires upload and download speeds of at least 5Mbps. For the most part, GameStream seems like an easy way to get your favorite PC games up and running on a larger screen that's not accessible because it's on the other side of your house. For the majority of PC gamers, GameStream isn't a must-have feature. From my perspective, it allows me to bring my games almost anywhere, whether it's a different part of our office or at my house. GRID, like GameStream, isn't exclusive to the SHIELD Tablet, but it's on this device where the service excels. And, like GameStream, you'll need to meet a number of requirements for the feature to actually work. But when it does work—and it worked very well during testing—it becomes a terrific addition to an already powerful gaming device. In short, GRID is essentially a Netflix for games. 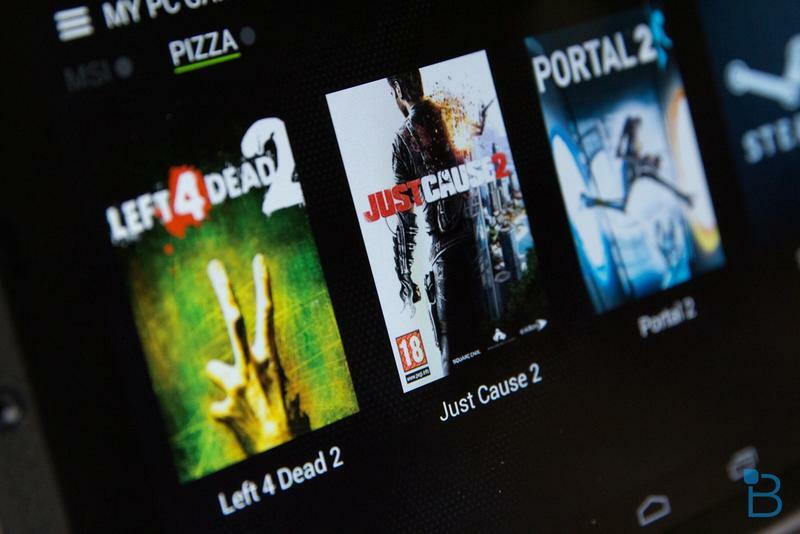 Through a server in San Jose, CA, NVIDIA gives GameStream-ready products access to an array of titles (we tried Borderlands 2), all over Wi-Fi. You will need an Internet connection of 10Mbps down at the very minimum, and you'll also need a GameStream-ready 5GHz Wi-Fi router. So, again, a ton of requirements to actually get this service off the ground, but it worked without much issue for us, which is amazing to see on an 8-inch slate. As of this writing, GRID is available for free in beta, and is largely confined to those on the West coast. 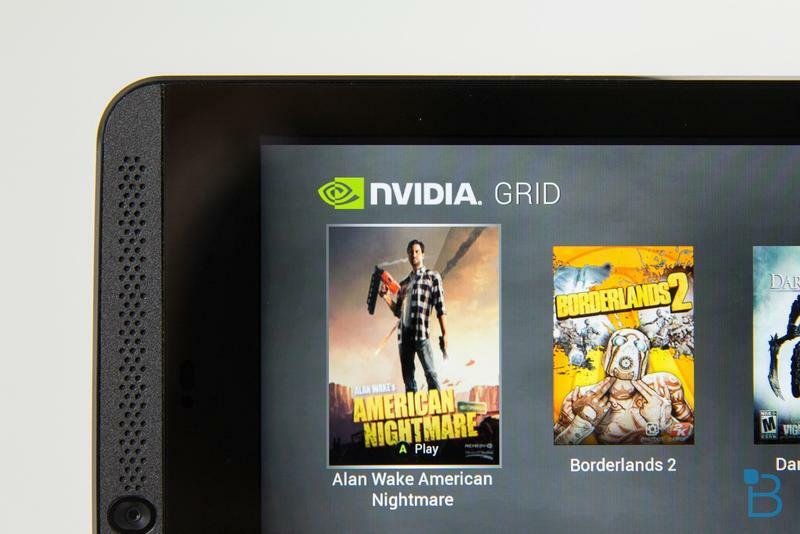 However, NVIDIA does say that users with a fast enough connection can attempt to use GRID, though it might not work as intended. Future expansion to other areas around the U.S. hasn't been ruled out just yet, though NVIDIA's plans haven't yet been revealed, so it could just be a service only available to a limited number of users. Even as a proof of concept, GRID is pretty great as it stands right now. How it will evolve over time is unclear. Pricing and availability will obviously determine the service's fate; the fact that GRID is only available to GameStream ready devices obviously severely limits its reach, but it's definitely a nice little bonus for SHIELD Tablet owners at the moment. In addition to the K1-optimized games, GameStream and GRID, the SHIELD Tablet also includes ShadowPlay, which allows users to record gameplay, or stream to Twitch. The game streaming market is a boom business right now—that's obvious given YouTube's interest in Twitch—so it's awesome to see such a convenient method built right into the device. Not everyone has the means to buy the hardware necessary to record their gameplay, and this makes it more accessible than ever. Finally, NVIDIA has included a gamepad mapper, which adds gamepad support to native touch Android games. This has been a feature SHIELD Portable users have been able to take advantage of for some time, so it's not exactly new, but it works very well on titles that were otherwise designed with a touch screen in mind. That means, if you're so inclined, you can map something like Temple Run, which is otherwise meant for gestures and touch input. As a regular Android tablet, NVIDIA's new slate sports acceptable battery life, getting me through the day with juice to spare. If you do normal tablet things like watch movies, play touch-based games and browse the Web, battery life won't be an issue; best practices dictates you still charge every night, but you won't get anxiety over finding an outlet if you don't. That said, the SHIELD Tablet's gaming capabilities have a noticeable affect on battery life, so don't expect to have late-night GameStream marathons. With a heavy dose of GameStream, GRID and Half-Life 2, the SHIELD Tablet is capable of getting about three or four hours of solid battery. I can't see someone going on a three or four hour gaming bender on their tablet, but weirder things have happened. Again, with normal usage, the SHIELD Tablet's battery life is pretty decent, so we have no issues there. But use the device to its fullest potential, and you'll find that battery life isn't the greatest by any stretch of the imagination. 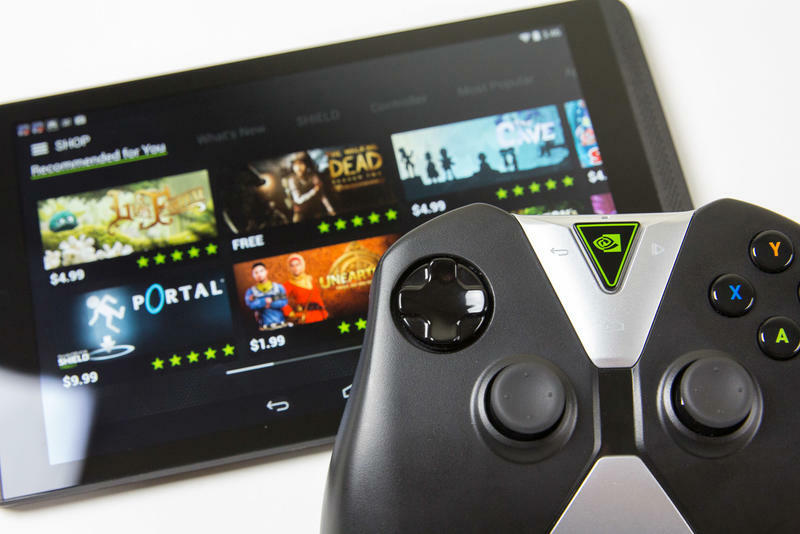 Even if you strip away its gaming capabilities, the NVIDIA SHIELD Tablet is one of the best Android tablets you can buy. 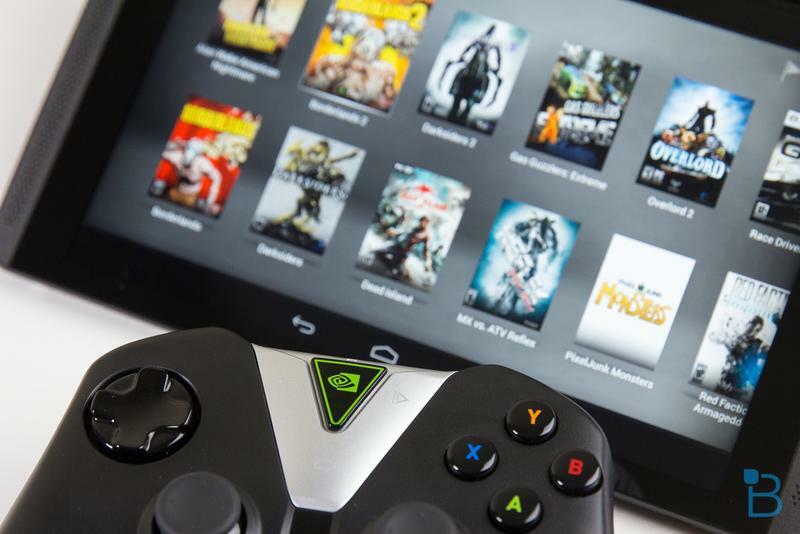 Whether you're a gamer or not, there's no denying the NVIDIA SHIELD Tablet's prowess as a powerful Android machine. 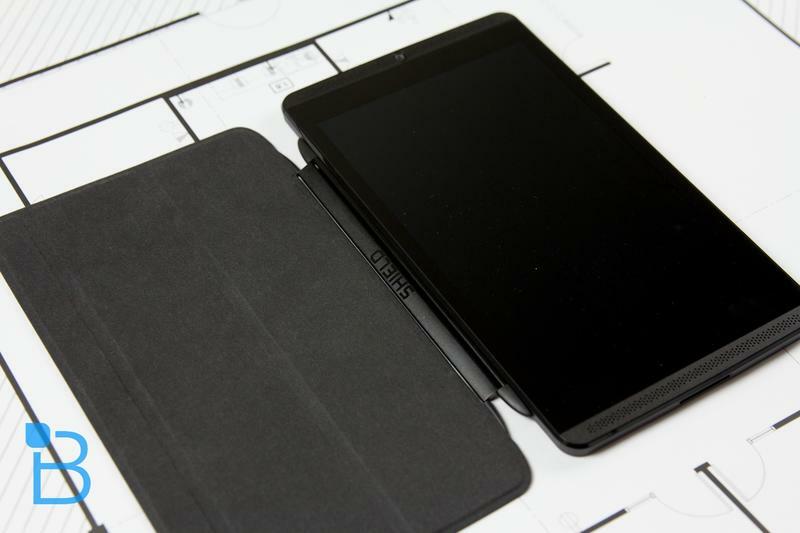 We've already seen a lot of great tablets this year, but this has quickly shot to the top of my list. Not only does it show off the Tegra K1's impressive capabilities, but the design is great and, best of all, it's affordable. At just $299, the SHIELD Tablet is more expensive than a device like the Nexus 7, but it can do so much more while still offering that coveted vanilla Android experience (though it does come with some NVIDIA apps pre-installed). NVIDIA's SHIELD Portable and Tegra Note 7 may not have been big hits in lieu of devices from Apple, Amazon and Samsung, but the company has managed to create a slate that will no doubt go down as one of the best of the year.